The business life cycle includes many valuable opportunities for public relations (PR), and healthy PR is essential for successful businesses. Loosely defined as the communication between a business and its community, PR is essentially a business’ relationship with the public. Based on true company news, PR revolves around the company’s reputation and heavily involves brand credibility. A company depends on an increase in sales of a product or service to maintain its competitive edge. The quantity of sales can be dependent on the relationship a company has with its clientele. If a customer has a positive experience buying from your company, he or she is more likely to buy from you again. Maintaining a positive reputation is critical for a company growth. When it comes to company credibility, PR can compliment a media campaign. PR coverage is perceived to have more credibility than ads because it’s often covered as “news”; the public generally trusts news items from a third party more than paid ads. A PR strategy is customized to each type of business. What may work for one company may not work for another. However, the goal is always to establish the company as an authority in their respective industry. Over time, the news station will develop a relationship with the client and automatically reach out without a prompt from a Press Release. Press releases represent an official announcement that discloses information on a particular topic. They’re an effective way to update the public on new products or services. Although they’re frequently distributed online, they don’t have to be. Many print newspapers and magazines regularly feature press releases for both small and large companies. When you need to arrange for a press release, make sure you know your PR manager’s relationship with the media. An established relationship with a PR expert will bring you more leverage with the press. At Sundance Marketing, our PR managers work with media communications personnel and TV news stations in Rochester, which allows us to secure the best exposure for our clients. Follow up after a press release is sent may include additional prodding and discussion and the ability to sell our story to the reporters. Media alerts, usually a single-page announcement of an event, are similar to press releases except that they are intended for journalists and news reporters, not necessarily the public. Media alerts notify the press that the said topic is worthy of coverage, encouraging reporters and photographers to attend the event. In today’s business environment, companies can’t assume a newsworthy item will automatically get covered. The press pays attention to what they think will resonate with their target audience. It’s important for PR managers to establish a trust with the news reporter and follow up with them regularly to keep their news at the forefront of the media. 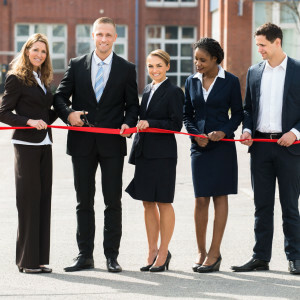 If your company has a big announcement to make, they typically create an event for it (such as a ribbon cutting for a new business opening) and invite the press, town officials, clientele, etc. However, the press, especially the most influential journalists and reporters in your market, needs a reason to take notice of your event. Many PR agencies promise to make the event exclusive (meaning they won’t invite other media companies) to make the company’s PR event more desired. So many factors contribute to a company’s public relations, which is why many businesses hire a professional agency to implement a successful PR strategy. A professional advertising agency understands how to leverage effective PR techniques and has the experience to offer valuable advice. If you have a clearly defined PR strategy with the right resources to put it into action, your company will see significant results. We at Sundance Marketing take care of all PR strategizing and implementation. We schedule press events, media interviews, write speeches, coach company leaders, organize behind-the-scenes details such as catering and sending invitations, etc. As your professional advertising agency, we want to help your company succeed in all aspects of marketing, including Public Relations. If you’re interested in learning more, call 585.670.0347 or fill out our online form and we’ll contact you as soon as possible!